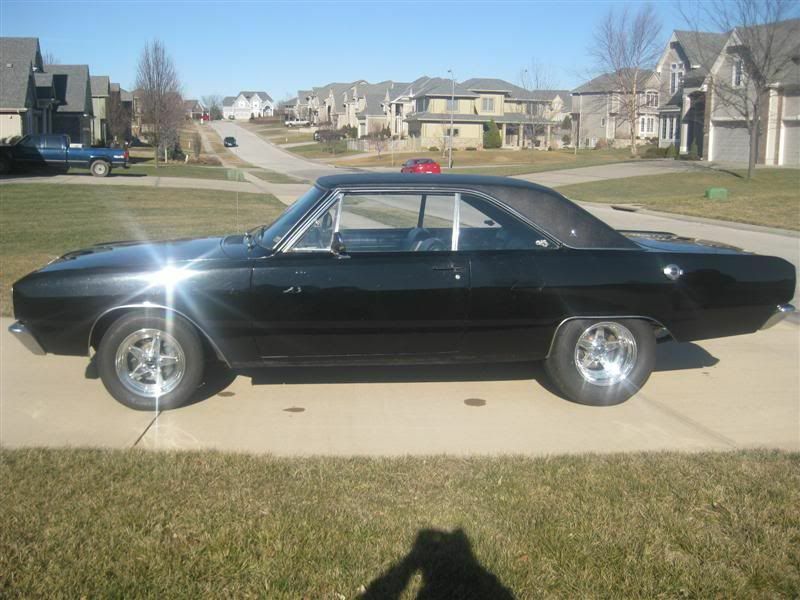 I need to get new tires for the front of my 68 Dart. I want to go with a 70 series tire and I am pretty sure a 215/70/14 will fit (currently have 205/60/14) but I would like to know if a 225/70/14 will fit without any rubbing issues. Does anyone here know if that size tire will work or will I have to go with the 215s? I have 225/70/14 on 14x6 cragers on all corners. they fit but they do have a couple of places that are issues. Rears are real close and we trimmed the wheel well lip before painting the car. I have 215/70/15, no problems. I went with a 195/65/15 It has a 25 inch diameter. Fits great on my 67.
hey,,is that the size you run on the front? iam trying to figure out what will work for the front of my 65 dart on a 15 in rim,,thanks for any input !! Yup, that is the size.